Hey, just thought of something. There is nothing toxic about that LC described in the patent, so you certainly could drink just a tiny bit. Suppose you do the experiment described in the patent. The result is 2.1 gm of actives in 100cc. A fairly high oral dose of psylocibin is, I believe, 30mg. 10 mg would be quite noticeable and the equivalent of 1 gram dry cubensis. That 100 cc flask would contain the eq of around 200 gm dried cubensis! Thus you would get a remarkable effect with just 1/2 cc of the LC or a moderate kick with a full cc. And if your yield was only 10% of that stated above then just 100cc would yield 10 doses of 10cc each. Still a remarkable product. Edited by raymycoto, 22 January 2019 - 01:27 AM. Looks like 1-hexanol, the non-household product provided the best yield with fewest of the unintended derivatives. Tryptophan is certainly very common, even as a supplement. Tryptamine seems less common but looks to be available as a reagent. The procedure in the article is simpler to carry out than many processes. Tryptamine is scheduled and I would not even bother trying to acquire it, tryptophan is so easy to get in a pure form cheaply that 90%+ yeilds (although nice) are not even needed. The very easily obtained white spirit in combination with the catalyst peppermint oil gives a 75% yield, that is a return of 750grams per kilogram. That is about 1.6 pounds of pure tryptamine for $30, sometimes you need to sacrifice yield for expediency outside of a certified lab. As you said this procedure is not complicated at all. I just dont know if we are starting to walk a fine line regarding site rules? Are we allowed to prepare ingredients for our substrates like this? We are talking about boiling an essential amino acid, to prepare it for our substrate. But this could also be seen as crossing over into lab work which is not allowed here? Not sure quite about the rules. In reality, I like to think about lots of these things for the academic concern but I suspect I might not get around to doing any of the real chemistry. I like learning new things and the challenges and any sort of organic chem lab would certainly be a new thing. I hardly even use the dryed mushroom but for learning about it's therapeutic uses of various sorts so I can hardly imagine what I'd do with a couple grams of active alkaloids except to have the satisfaction of learning the processes. But didn't one of the papers talk about starting with tryptophan? Maybe I'm mistaken. Seems like I've looked at a bunch of papers recently. Seems like there could certainly be some trypto decarb action in as it is present in the mycelium. BTW, look at ebay. 50 gm for $99 from Sydney, Australia. But I would be concerned if it is really scheduled. It certainly might be one of those chemicals that might get someone's attention. Yes tryptophan is an acceptable precursor, but all the literature suggest tryptamine is much better. The enzymatic decarboxylation seems to be a bit of a bottleneck in the biosynthesis, so bypassing that step gives much better results. Especially if you wanted results anything like Gartz documented in that patent. The Mazatec elders prefer derrumbes (Ps. caerulescens) when they're available. They actually create a heat in the body that is unique to them. They will settle for San Isidro (Ps. cubensis) though, in lieu of good derrumbes. The San Isidro is less preferred because they are not strong enough. Another species also called derrumbes is Ps. zapotecorum, which are extremely potent. The pajaritos (Ps. mexicana) are not as common as they once were were and generally are not utilized as it takes a fairly large number of them and they're difficult to find in sufficient quantities. If you go to Huatla there are folks there who will seek you out to sell you derrumbes. There are now also the drug cartels selling their miserable wares to the locals. The young people are less interested in taking up the tradition and so it may fall upon us Westerners to continue it. Interesting times. In my own experience, there are definite differences between the different species of mushroom, with the ones from Huatla carrying more "force" to them. This may be my own bias but other people that I know who have been there would concur with that observation. These days, the only strains I have an interest in cultivating are the species brought back directly from Huatla by my friends who go there from time to time. Edited by elfstone, 22 January 2019 - 05:24 PM. Good thing I'm growing alot of P. Mexicana, and soon I'll have tons of clean Ps. Zap spawn...cant wait. By a g by g basis, which are stronger? Mexicana or Zapatacorum? I would love to have a zapotecorum or a caerulscens print. I never see them though. Try the VIP trading post. I got both through generous members. If they weren't both slow (the fruits of those species, not the members) I'd say I would have some for ya soon, but sadly I cant guarantee that. They'll probably be more common once they're in season in the wild. I have been told by a few members that Ps. 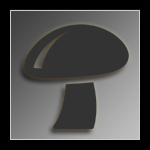 zapotecorum is indeed a very potent mushroom. I wouldn’t personally know as I tried growing them twice with no luck and then life got in the way. I still plan on working with them again, but for now, it will have to wait. They seem very finicky and I never could get my sub to produce. It just sat there for many weeks with no pins. If you want to go for a very easy and probably the most potent mushroom for me to date, I would suggest trying Psilocybe hoogshagenii var. convexa (P. semperviva). They are very slow to pin and mature, but they are a beautiful species to observe IMO. They are so easy and contamination resistant, it’s a true wonder why more folks are not growing them. And to date, they gave me the strongest vibes from 1 dried gram that I have ever experienced with any other species. My 2 pennies. Good vibes and good luck. PF, Very interesting. How would you say they compare in potency and quality of clinical effect as well as difficulty or speed of growth to Pan Cyan?